Finding a great service provider for NBN services isn’t easy. Service providers that offer reliable internet speeds, onshore support and a customer first approach are a rare combination. Over the past few months, we’ve had numerous Shire customers ask us “Who should I sign up to the NBN with?”. Our response has always been the same: “Check out Aussie Broadband.“. We’ve helped many of our Sutherland Shire customers setup their Aussie Broadband service. Find out why we recommend Aussie Broadband ahead of all other NBN service providers. 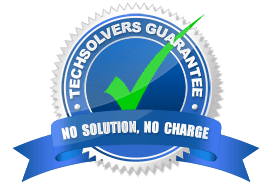 At TechSolvers, it’s important that we believe in any product we recommend. We need to be able to say hand-on-heart “this is a great product that we believe to be better than the rest”. We recommend Aussie Broadband to our customers in the Sutherland Shire and St George because of the following reasons. Internet users are obsessed with internet speeds because there’s nothing more frustrating than erratic, slow internet. We found Aussie Broadbands average speeds are amongst the fastest (if not the fastest) reported. Don’t take our word for it though – The Australian Competition and Consumer Commission (ACCC) Broadband Monitoring program rated Aussie Broadband Number 1 out of the top 6 broadband providers. Aussie Broadband were also recently rated as number one on Steams ISP Performance index. In true Aussie Broadband fashion, they discounted the accolade because they considered the method did not accurately capture the performance of a service provider (even if they did get to the right result!). Aussie businesses need our support and we like to support them so this gets a big tick from us. We’ve all been there before – the dreaded call to the offshore support centre. Talking tech to someone that doesn’t speak English well is frustrating for everyone. It’s even worse for customers that find technology confusing or if they’re hard of hearing. Aussie Broadband is completely staffed out of Australia which means customers will never have trouble understanding one of their support staff. Aussie Broadband have always been fanatical about providing the best broadband service. Nothing exemplifies this better than when they left the Optus network. Aussie Broadband operated on the Optus network many years ago. As the NBN was rolled out, Aussie Broadband started to field a growing number of complaints. Unhappy customers were upset with Aussie Broadband because of their NBN performance. Aussie Broadband discovered that the Optus network was hopelessly congested. Aussie Broadband left Optus and built their own network because they realised performance on the Optus network was damaging their brand. Now they have the ability to completely manage their NBN service and ensure their customers always got the performance they expected. Aussie Broadband delivers great internet speeds at peak hours because they purchase ample NBN bandwidth (CVC). Service Providers that buy too little CVC typically deliver erratic, slow services which gets worse at the busiest times of day (ie 6pm weekdays). Knowing how much CVC a Service Provider purchases helps us understand which Service Providers have sufficient bandwidth. The ACCC originally planned to publish this data however some telcos lobbied against this, claiming it would be anti-competitive. Aussie Broadband took a different approach and published their numbers for everyone to see. To date, they are the only Service Provider to do so. We can only speculate why other Telcos refuse to publish their numbers. Earlier we mentioned that Aussie Broadband had ranked number 1 on the Steam ISP index for Australia. Most ISPs would advertise this as a win; Aussie Broadband chose to point out why these metrics aren’t reliable. If you like fair dinkum honesty, you won’t get any more honest than Aussie Broadband. An independent panel of 17 industry experts voted Aussie Broadband as the best broadband telco in Australia at the CommsDay 2018 awards, beating out Optus, TPG & Telstra. Not bad for a little known service provider! Aussie Broadband offer 150Mbps and 250Mbps plans for those who desire speed beyond the standard NBN100 plan in areas capable of receiving it. At time of writing, these plans are not available for the Miranda POI (used by most Sutherland Shire homes) however they will be come available once the Miranda POI is upgraded by the NBN Co.
It’s difficult to compare user experiences between the major telcos because Optus, Telstra and TPG have all deactivated user reviews in Facebook (we can’t help but wonder why!). Lucky for us, they can’t deactivate the reviews in Product Review. A review of the Aussie Broadband forum on whirlpool.net also indicates high user satisfaction. We don’t like contracts and neither do Aussie Broadband. Their plans are settled month to month and customers can decide to leave without incurring an early contract termination fee. By now, you should be able to see why TechSolvers are strong supporters of Aussie Broadband and why we’re so excited to be reselling their products. Aussie Broadband aren’t the cheapest service provider and we hope they never aim to be because real quality always comes at a premium. Visit the Aussie Broadband website and sign up online.